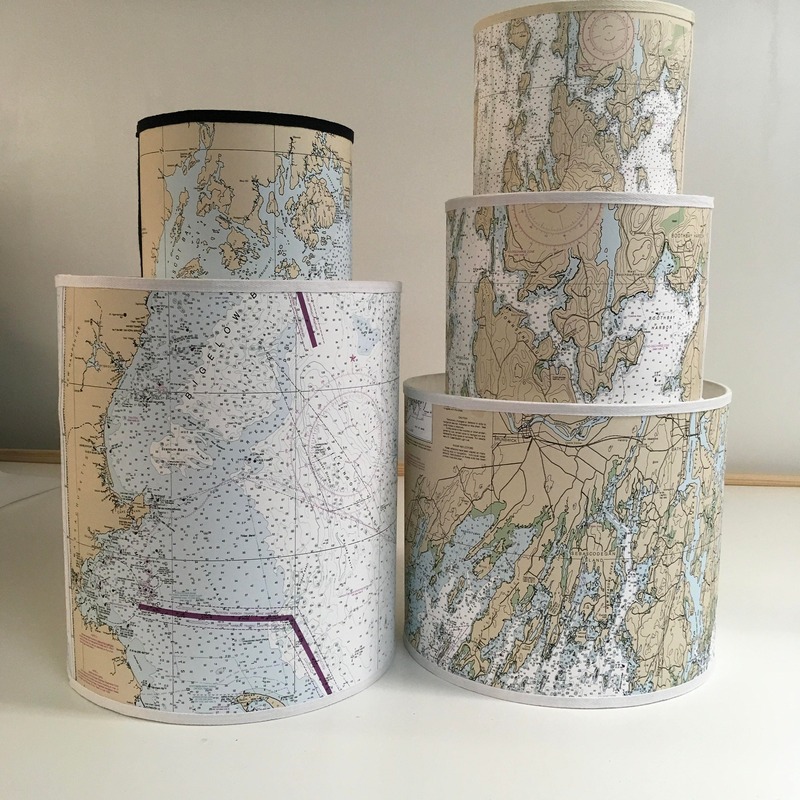 Choose any location available on a nautical chart!! 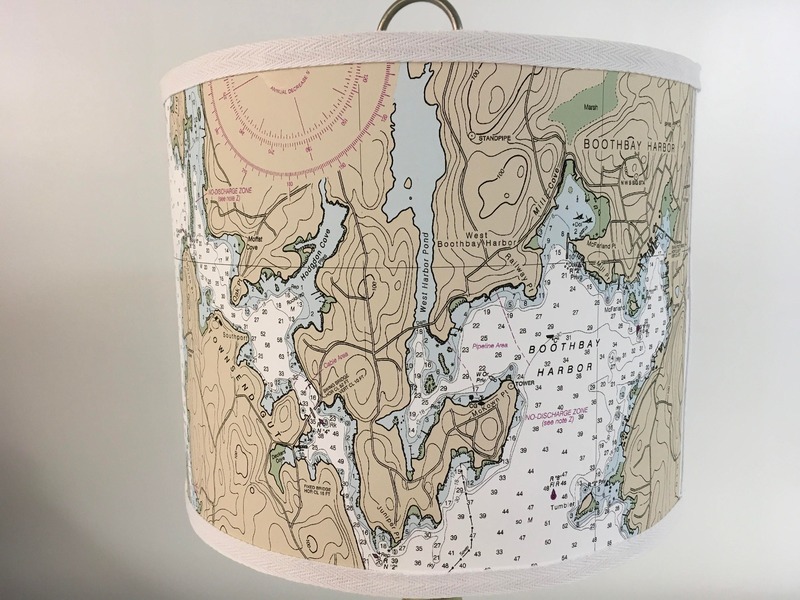 I handcraft this nautical chart lampshade using an actual chart on a 13" round washer style attachment that fits any standard harp. 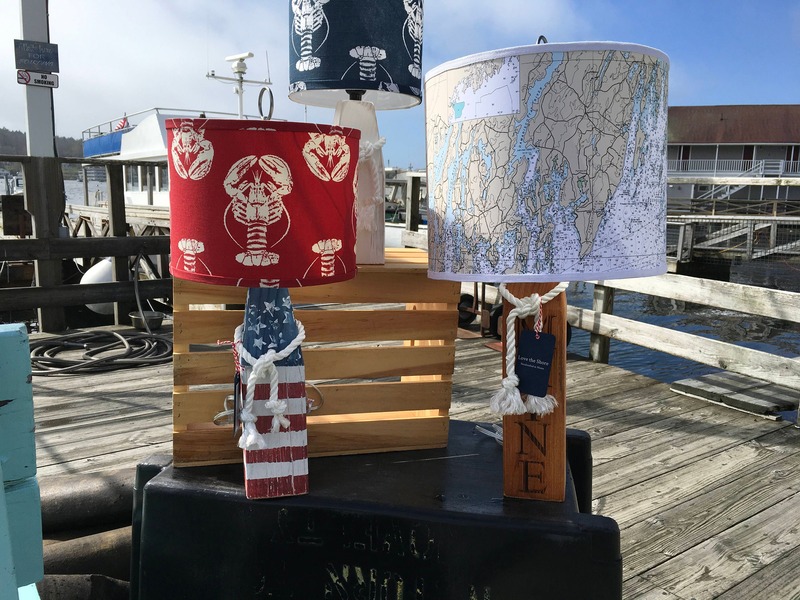 (Actually the diameter on the 13" shade requirs two charts - so the price is slightly higher than the small and medium sizes). It measures 13" across, 42" around, and is usually done in a height of 11". I can adjust the height based on your requests. 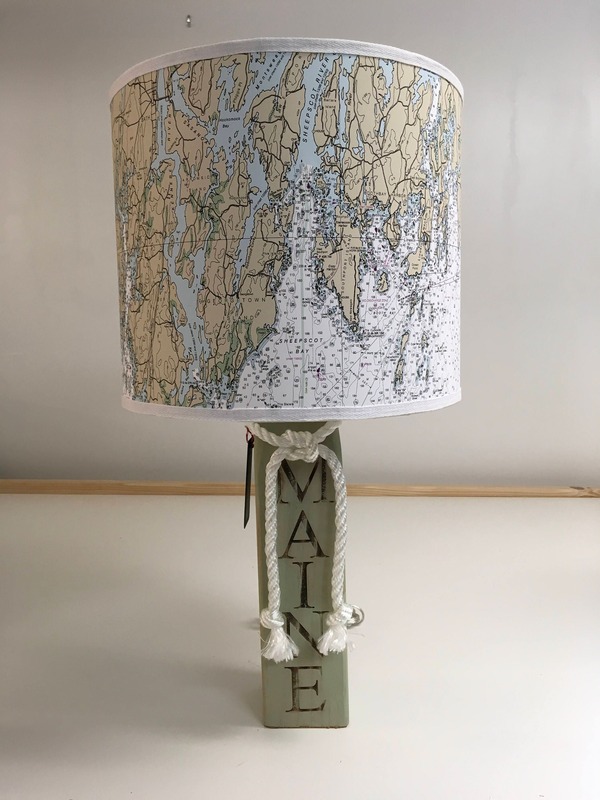 It is finished with a matching bias tape in either a white or beige twill binding - it really finishes the edges and makes the shade even more beautiful! The chart is mounted on heat-resistant styrene so you can use 60 to 100 watt bulbs. Clean up is very easy - just use a furniture duster or clean, dry cloth.